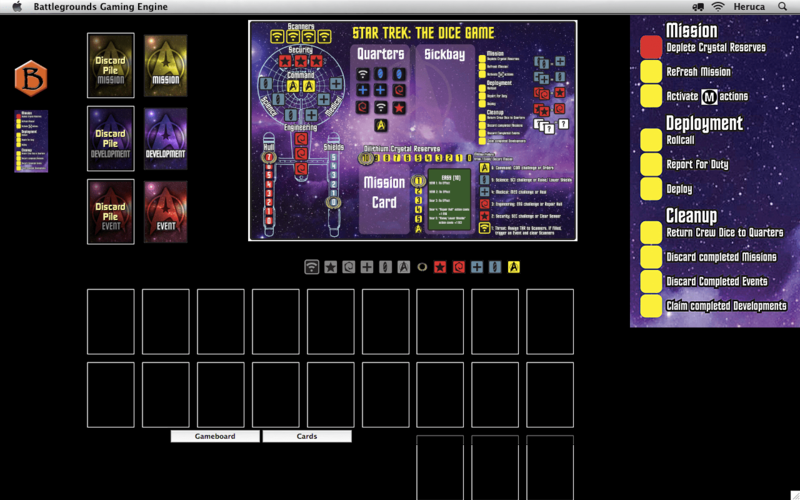 This is a BGE digital conversion of the free print-and-play solitaire game, “Star Trek: The Dice Game”, by Carl White (web published, 2016). 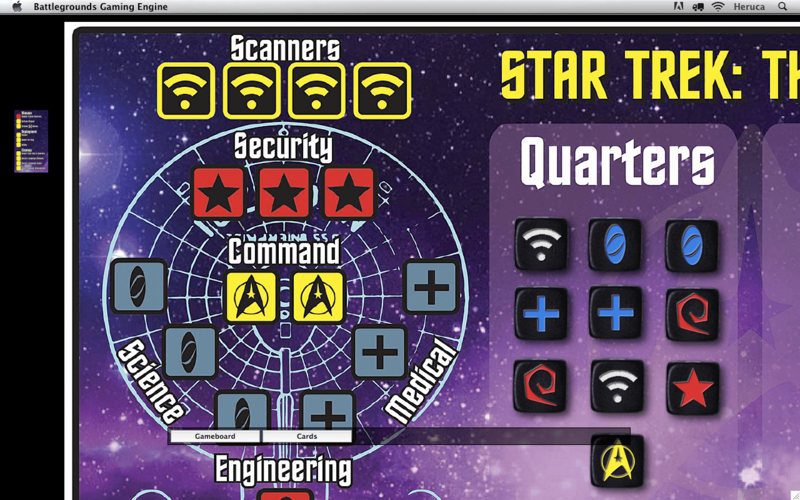 Command the crew of the starship Enterprise on a 5-year mission in this worker-placement game where the “workers” are dice. The above download contains everything needed to play the game if you already have a BGE Gamer Client license (v1.5 or higher). 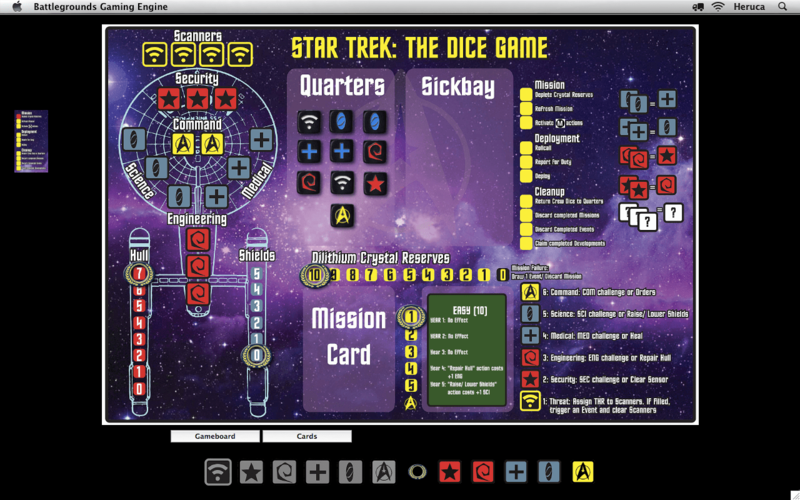 Installation instructions are included in the download, as is the game’s rulebook. Here are some screenshots of what the game looks like. 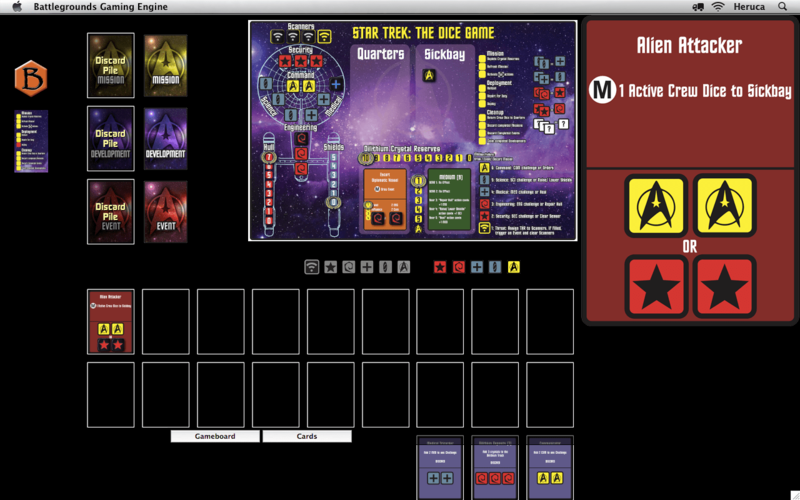 This is the best Star Trek game out there. It is not pompous, but carries so much theme and tense … just perfect. [Translated from Spanish] Very entertaining and perfectly captures the essence of Star Trek.